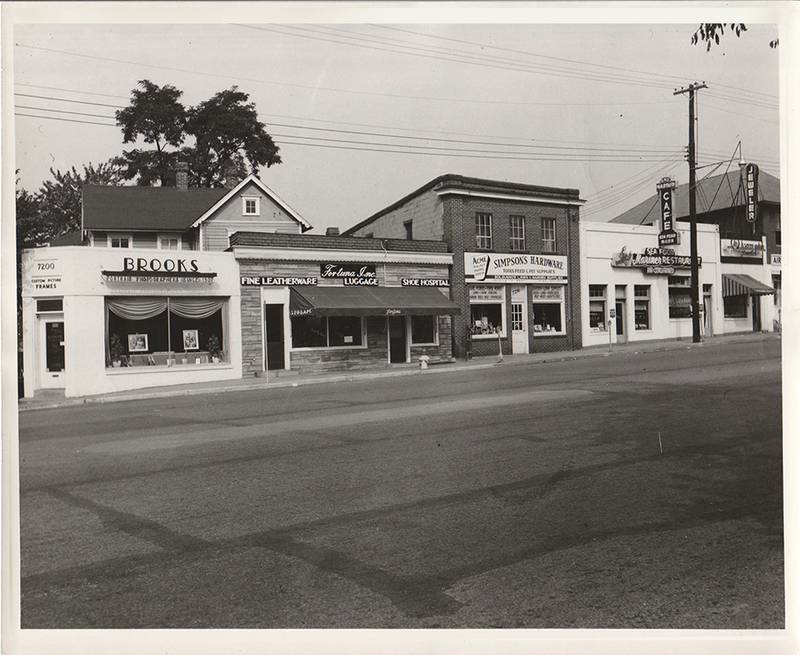 Fortuna’s of Bethesda was founded in 1943, making it one of Bethesda’s longest-running independent businesses. Fortuna’s was established by Joseph W. Fortuna, of Philadelphia. Every member of Joseph’s family, from his nieces to his grandchildren have worked in the store, many of them as trained shoe repair professionals. As families tend to do, the Fortuna family has spread, and members of the original family unit can now be found in Philadelphia, Maryland, New York City, New Orleans and Los Angeles. But Fortuna’s is still run by Joseph’s daughter-in-law, Terry Fortuna. Terry holds a Master in Business Administration and a Masters in Educational Media and Technology, and — whether behind the counter at Fortuna’s or traveling around the world or visiting her children and her nine grandchildren — is very proud to have owned and operated Fortuna’s of Bethesda for over thirty years. Since its founding, apropos of the strong family bond of its two principal owners, Fortuna’s Shoe and Leather Repair has made deep and lasting contributions to the youth of the Washington Metropolitan Area. Our founder, Joseph W. Fortuna worked with troubled and endangered youth at the store and through his membership in Kiwanis. Fortuna’s current owner offered opportunities for training and internship as part of her role as a member and officer of Rotary International District 7620 . Fortuna’s continues this tradition with a longstanding partnership with a DC public school counselor providing outreach to High School and Middle school students and through St Luke’s House offering on the job training to both youth and adults. And we also offer apprenticeship opportunity to those interested in learning the craft. Through the years, we have employed and trained area youth from the following schools: Phelps Vocational High School, Gonzaga,and Wilson High School in DC, BCC,Walter Johnson, Walt Whitman, Stone Ridge, Good Counsel, Wheaton, Georgetown Prep in Montgomery County and Oxen Hill High School in Prince Georges County.